While some aches and pains are to be expected during pregnancy, persistent, sharp pain in your heel may be something more serious—a condition known as plantar fasciitis—which pregnant women are, unfortunately, at greater risk of developing than the average population. So why are pregnant women so susceptible to developing heel pain? First, let’s try to understand exactly what plantar fasciitis is and why the condition flares up. The plantar fascia is a thick band of tissue that runs from the heel bone through the foot’s arch, ending at your toes. This band has a big job to do: it must support the foot and allow you to make the motions necessary for walking. 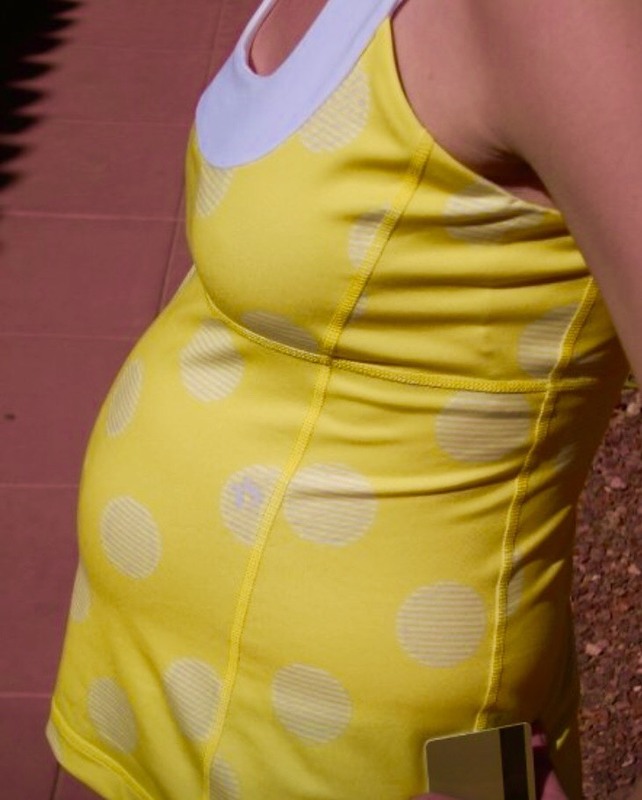 When you’re pregnant, you often gain weight quickly as your baby grows. This rapid weight gain can put a lot of strain on the plantar fascia, causing it to become inflamed. If you further exacerbate that strain by wearing easy-to-slip on shoes like flip flops or ballet flats, that offer little arch support, the problem only becomes worse. Additionally, women release a hormone called relaxin during pregnancy. As a preparation for giving birth, it helps by loosening women’s ligaments. An unintended byproduct of this loosening, however, can be an uncomfortable flattening of the foot. These two factors in combination can cause pregnant women to experience the sharp heel pain that characterizes plantar fasciitis; the pain may be worse first thing in the morning or when getting up after sitting for a long time. So, should you chalk this pain up to just another pregnancy ailment that will pass once the baby comes? Absolutely not! If left untreated, plantar fasciitis can linger for weeks, months or even years after your pregnancy ends. In fact, untreated plantar fasciitis may ultimately require surgery if ignored for too long. Pregnant women often notice that their arches flatten when they stand and their feet roll in when they walk—this is known as over over-pronation, and can cause the terrible heel pain we discussed above. Swollen feet can occur at any point during your pregnancy, but the problem is more common in the third trimester; it occurs because extra blood Edema results from the accumulates in your body during pregnancy at the same times as your expanding belly is putting pressure on the vessels in your pelvis and legs. The combined effect slows your circulation and lets blood pool in your feet and legs, sometimes even making your feet look a little purple. While both problems can be painful and taxing, it’s important to remember that you don’t need to wait until you have the baby to find relief for your sore feet. If you’re having issues with over-pronation, we can fit you for orthotics that will give you additional arch support and help your foot stay in the right position when you walk. I can also offer you the following tips to alleviate swelling in your feet: put them up whenever and wherever you can. If you know you’re going to be sitting all day, keep a little stool next to you so you can take the pressure off your feet and, of course, choose well-fitted shoes that aren’t too short or too narrow (you may need to have your feet re-measured during pregnancy as they can grow and change size during this period.) Staying active with doctor-approved exercises will also help support healthy weight gain and promote better circulation. Just because foot pain during pregnancy is “normal” doesn’t mean you need to put up with it. If you want your feet to feel better now, instead of nine months from now, schedule an appointment with Dr. Andrew Schneider today!